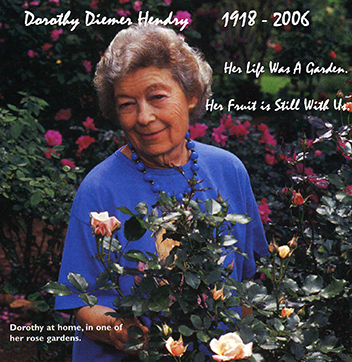 This is the second page of information on the life and world of Dorothy Diemer Hendry. From here you may also return to page one. She was a registered Rosarian who cultivated over 300 varieties, including some that she registered herself. This photo was from a local article about such accomplishments. Dorothy was a pioneer in the Airline industry. 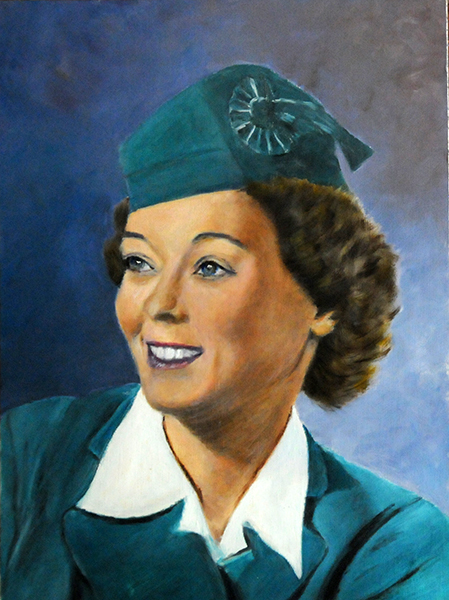 During WWII she was named Chief Hostess for Mid-Continent Airlines. She met Wick on one of her trips. They corresponded before dating. Marriage followed near the end of the war on Christmas Day, 1944. This is a copy of an oil painted by Larry Augsburger, another son-in-law of Dorothy, married to Betty Hendry Augsburger, first born of Dorothy and Wick. Dorothy excelled at any endeavor, whether teaching, writing or making friends and fond impressions. Before she and Wick moved to Huntsville, her life was centered around Kansas City and the surrounding area. For a long time, however, Warrensburg, Missouri was her place called home. There her father, George, was the president of Central Missouri State University. Warrensburg is approximately 60 miles east of Kansas City. 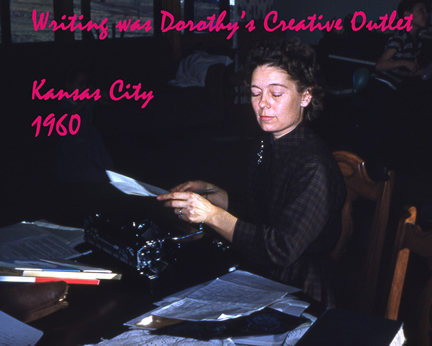 Below she spends time at her art, writing, in Kansas City in 1960 when typewriters were king. 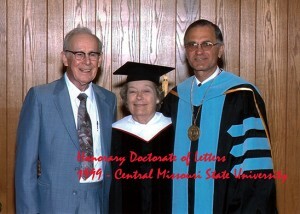 Dorothy and Wick Hendry in May 1999 after she received an honorary Doctorate of Letters from Central Missouri State University for her support of the literary and musical arts. Dorothy received an honorary Doctorate in Humane Letters from Central Missouri State University in Warrensburg, Missouri in 1999. Her father, George Diemer, was president at the university during and after WWII. At Truman’s behest he worked within a group of thirty educators to help Japan transition from a defeated enemy to a close ally by modernizing their education system.